Hotel Holiday Inn is very popular choice among visitors due to its approachability, locations and comfort it offers to its customers. It is located just at the distance of 5km from Manali town center. It offers a mesmerizing view of Pirpanjal ranges that leaves its admirers awe struck. Hotel offers fine dining along with bar facility to its visitors. It offers different types of Spa treatments also. Hotel Manali Inn is beautiful hotel that is located just at the distance of 1.5km from Manali bus stand and just 43 km from nearest Bunter Airport. The view from the hotel is simply panoramic .They offer elegant, comfortable rooms. Hotel Shobla Royale is a beautiful Hotel in Kullu located in the heart of the town just next to Dussehra ground Kullu. It offers cozy and comfortable stay to its visitors. Staff at the hotel is very friendly and supporting. 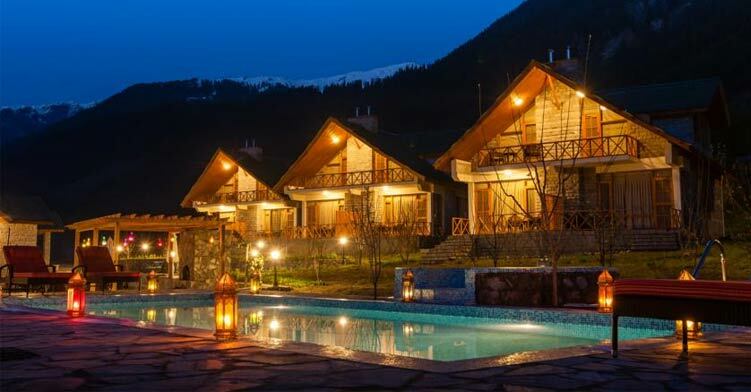 Apple Valley Resort is located in Kullu at the distance of 48km from very famous Hadimba Devi temple. It offers splendid view of apple orchards and sound of gushing of River Beas alongside. They also offer different gaming activities to their visitors. Kullu Valley Hotel offers facilities at a very budget friendly place to stay. It offers a comfortable and cozy stay to its visitors. Hotel staff is very helpful and offers a prompt service. It is situated near main bus stand on the main road, thus is very easy to approach. Hotel Aroma Classic is located near Dussehra ground Kullu, it easily approachable. It is worth of every penny you spend here. It is best budget hotel that offers cleanliness and hygienic atmosphere. Snow Valley Resort is set up in the backdrop of Himalayas and is just at the distance of 2km from Hidimba Devi Temple. Visitors enjoy beautiful mountain valley views. They offer facility for games, disco and bar as per the interest of the visitor. The Orchard Green is awesome Hotel in Manali that combine comfort with modernity. They offer cozy stay to its visitors away from hustle and bustle of busy life. Visitors can spend their time in peaceful and serenity. Hotel Vintage Manali is a popular hotel in Manali which offers a comfortable stay in serene lap of Mother Nature. They offer fine dine with rooftop terrace and a walk to remember in lush green gardens. Solang valley resorts are the perfect gateway from busy metro life that offers a mesmerizing view of mountains, rivers and glaciers that offers uniqueness in itself.